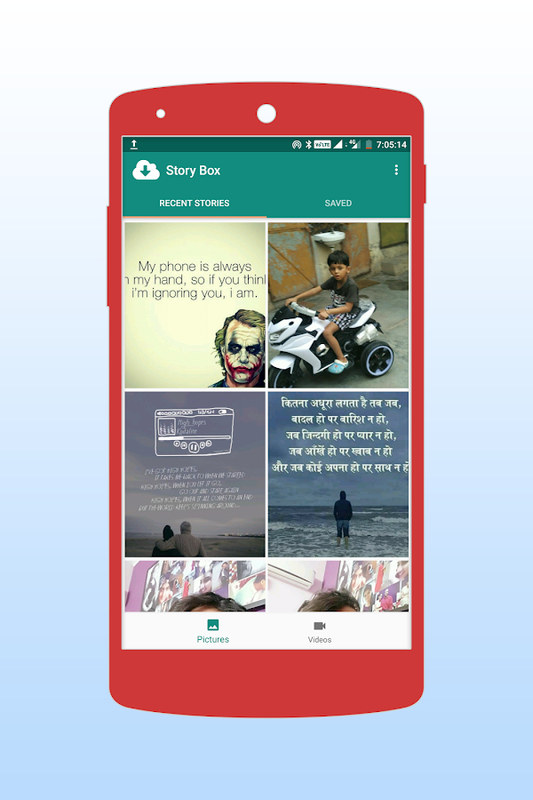 Story box app lets you download and save WhatsApp status stories.You can download video and photos both at the same time and savethem to your phone's gallery.Finally, you can also share allwhatsapp status videos without downloading them. 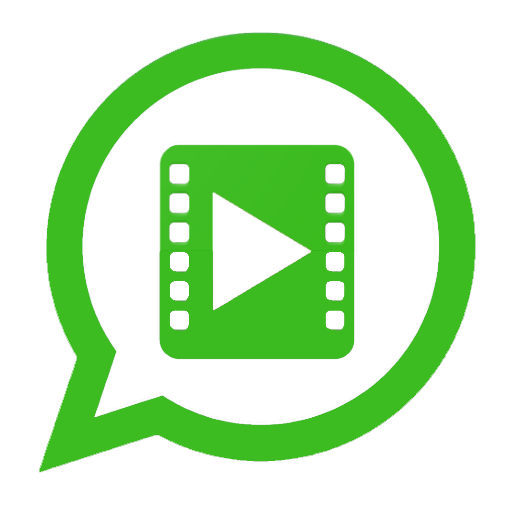 **************************************Follow these steps to shareor download whatsapp status video.1) Open Story Box app2) Selectany photo or video3) You will see three option (preview, save andshare)4) Select any option according to yourpreference. ***************************************Functions added+Watch status videos and photos without letting your friend know.+No seen on status+ Watch without downloadingFor any query feel freeto email us through the app. Presenting you the all in one app by Onepromocode. An onlineshopping app which will increase your shopping experience. This appwill give you a lot of unique benefits.Update: We have recentlyadded Reliance Trends to shop online clothes. HappyshoppingShopping App: Now shop for Mobile, Television, Laptops, AC,Refrigerator, Washing Machine, Sports, Fitness & Outdoors,Memory Card, Hard disk, Pen Drive, Shoes, Shirt, Jeans, Jackets,Toys & Baby Products, Handbags & Luggage, Computers &Accessories, Beauty, Health & Groceries, TV, Audio &Cameras, Books, Car, Motorbike & Industrial Products,Jewellery, Watches & Eyewear, Home, Kitchen & Pets, Movies,Music & Video Games Like Playstation etc. So we have includedall apps into one app that too have very small size. By doing this,everyone can shop their favourite sites very fast.Apparel Shopping:Myntra, Jabong, Ajio, Reliance Trends, Koovs, Yepme, Limeroad,Shoppersstop, Voonik, Mr Voonik, Firstcry, Abof, YebhiElectronicShopping: Flipkart, Amazon, Snapdeal, Shopclues, Tata Cliq,Infibeam, Rediff, Homeshop18, EbayOnline Recharge: Freecharge,Paytm, Mobikwik, Rechargeitnow, Airtel, ReloadMovies Booking:Bookmyshow, Ticketsnew, Ticketplease, JusticketsGrocery Orders:Bigbasket, Grofers, Zopnow, Natures BasketHome Furniture:Pepperfry, Fabfurnish, UrbanladderFEATURES OF THE APP1) UpdatesCoupon Code2) Festival Sale Offers3) Budget Products4) Deal of theDay5) Upcoming Sale6) Flash SaleUpdates Coupon Code: We have listof all working coupon codes for major websites. Our mission is toprovide all the latest coupons in one place so that you can saveyour money by getting cashback or direct discounts onshopping.Festival Sale Offers: As you know that eCommerce sites inIndia celebrate all Indian festival by proving special sale offersdirect to their users. Some sale such as amazon great Indian sale,flipkart big billion day sale, holi sale, diwali sale etc. So wewill update you guys with all such sale so that you save more onshopping.Budget Products: In this feature, we will promote some ofthe products which will fit on your budget. In addition, we havecategorized budget products such as under rs.99 products, underrs.199, rs.499 and rs.999 products listed. Deal of the Day: You canfind your favourite items with the lowest online cost possible witha day sale. These sale will be available for only 24 hours andafter that its expires. So never miss a deal of the day offeragain. We will keep updating these deals every hour.UpcomingOffers: We also update the app with a list of upcoming offers thatcan find exclusively on our app. By this mean, you can always finda new way to shop online.Flash Sale: Some products have flash salesuch as Redmi and MI mobiles. So we never want you to miss any saleever. That is why we have put all the flash sale products on thesame app.BENEFITS OF THE APP1) Shopping Apps2) Joke Updates3) TechVideos4) Daily NewsIDEA BEHIND THE APPThe shopping business inIndia is continuously increasing every year. That is why majorityof population are still confused to choose the trusted and reliableshopping site. That is why we have included only the top performingsites which supports maximum category of products such as ConsumerElectronics, Home-Furnitures, Books, Small and Large Appliances,Fashion Apparels, Food Ordering, Flight and Hotels Booking, OnlineRecharge Utilities etc.We will happy to fulfill your request. Justdrop an on our developer email for the same. Winner of PC Magazine's Editors' Choice Award: "There are plenty ofexcellent file-syncing storage services, but, on Android, the Boxapp takes the cake." Securely store, manage and share all yourfiles, photos and documents with 10GB of free cloud storage fromBox. 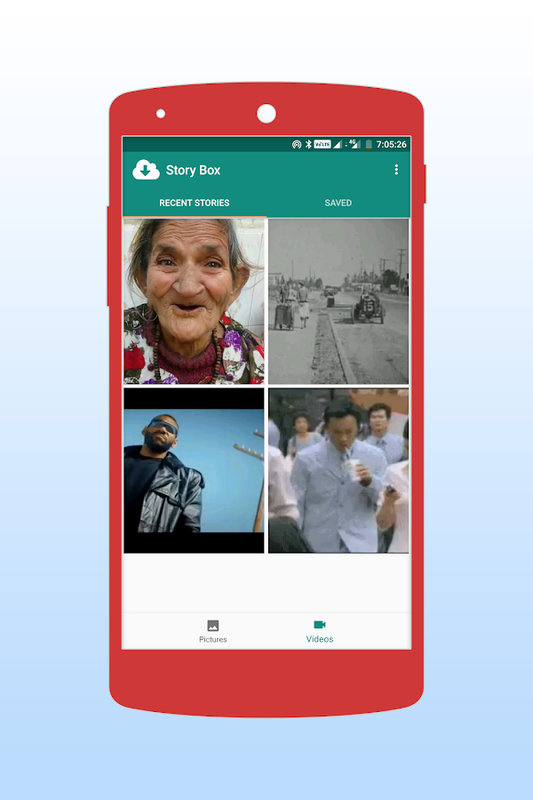 With Box, you can easily: * Access and work on all your filesat your fingertips * Access your content online, from your desktop,and on your Android phone or tablet * Share important documents,contracts, visuals and more * Preview 200+ file types with fullscreen quality * Give feedback from anywhere by commenting andmentioning colleagues and partners Box for Android features: * 10GBof free cloud storage to back up all your docs * Upload PDFs,Microsoft Office files, photos, videos and other files to Box *View and print 200+ file types, including PDF, Word, Excel, AI, andPSD * File-level security controls * Offline access to files andfolders * Share huge files with just a link - no need forattachments * Add comments to documents to send feedback *Real-time search * Search within PDF, PowerPoint, Excel, Word files* Updates feed to find recently viewed or edited files * Open filesin hundreds of partner apps that let you annotate, e-sign, edit andmore Box helps you get work done on the go. It's fast, secure andsimple to use, so you can be productive from anywhere, which is thereason 57,000 businesses, including Eli Lilly and Company, GeneralElectric, KKR & Co., P&G and The GAP securely access andmanage their critical information with Box. If your device is already root, you can install it directly. Ifthere is no root, you need to go through a very complicatingoperations to enable Ice Box. Please read the full descriptionbefore making decision. Non Root Setup:https://github.com/heruoxin/Ice-Box-Docs/blob/master/Device%20Owner%20(Non%20Root)%20Setup.mdIce Box is a box to freeze and store the apps you rarely used. Appsin box will be HIDDEN from launcher and won't be able to steal yourbattery or cellular data in background. You can easily launch themfrom Ice Box, just like launch from a home screen folder. They'llbe frozen automatically after screen lock or back to launcher andcan't do anything in background. Long press single icon, or drag toselect multiple icons can: - Run App. - Freeze/Defrost app. - ViewApp's system detail. - Open on Google Play. - Uninstall. Supportlauncher shortcut: - Freeze All Apps - Freeze All + Lock Screen -Defrost and Run Specific App More Feature: - Fingerprint lock. -Notification shortcut. - Android 7.1 quick shortcut. - Double clickshortcut to freeze. - Support Tasker plugin. How to use non rootmode There is not necessary to switch to non root mode if yourdevices are already rooted. 1. Make sure your device is runningAndroid 5.0+ and you know how to use adb clearly. 2. Go to"Settings - Accounts", remove ALL ACCOUNTS including your Googleaccount. 3. Run "adb shell dpm set-device-ownercom.catchingnow.icebox/.receiver.DPMReceiver " on your computerterminal. 4. Reboot your phone then can add your accounts back.After setting up Ice Box will grant the Device Administratorpermission on your device to freeze/defrost apps. Please rememberto click "Defrost All" in settings if you want to uninstall IceBox. Sensor Box for Android detects all available sensors on yourAndroid device, and vividly shows you how they work with amazinggraphics. Sensor Box for Android also tells you which sensors aresupported by the hardware, and provides extremely useful sensortools that could be used in our daily life. Sensors included -Gyroscope Sensor Gyroscope sensor can measure six directions at atime. You will be able to see the effects immediately by rotatingyour phone slightly. Now Gyroscope sensor is mostly used in 3D gamedevelopment, and possibly indoor navigation in future. - LightSensor Light sensor is applied to detect the light intensity of theenvironment, and then adjusts screen brightness and determineswhether to turn off the keyboard light. Test the effect by puttingyour phone in dark place and retrieving it. - Orientation SensorOrientation sensor is applied to detect direction status of thedevice, i.e. auto rotate screen when device is rotatedhorizontally. It can also be used as measure equipment like SpiritLevel. - Proximity Sensor Proximity sensor measures the distancebetween two objects, usually the device screen and our hands/faceetc. Test the effect by moving your hand forward and backward infront of the device in Sensor Box for Android. - Temperature SensorTemperature sensor provides information about your devicetemperature, thus you can take action when the temp is too low orhigh. - Accelerometer Sensor Accelerometer sensor is applied todetect device directions, i.e. auto rotate screen when the deviceis rotated vertically. It is also widely used in game development.- Sound Sound detects the sound intensity around you and providesyou detailed information about the intensity changes. - MagneticField Magnetic Field is used in many areas like metal detection andcompass, which bring us lot convenience in our life. - PressurePressure is used to detect environmental pressure, thus to forecastweather and temperature. Sensor Box for Android only detectschanges. It may not show the correct temperature, proximity, lightand pressure values if no changes occur. For better performances,sensors are usually used together. Check out the live demonstrationinside the application! Any feedback the email address below is thebest way to get in touch with us. This app lets you automatically synchronize files and folders withBox cloud storage (box.com) and with your other devices. It is anideal tool for photo sync, photo upload, music download, documentand file backup, automatic file transfer, automatic file sharingbetween devices,... New files in your cloud account areautomatically downloaded onto your device. New files in your deviceare uploaded. If you delete a file on one side, it will be deletedon the other side. It works across multiple devices (your phone andyour tablet). If their folders are synced with the same cloudaccount, they will be kept in sync with each other. This is how Boxworks on desktop but it is not the same with the official Androidapp that only works manually and has no synchronization capability.Two-way automatic synchronization should be an essential feature ofthe official Box app itself since the beginning. For whateverreason it is not the case. BoxSync is here to fill the gap. MAINFEATURES • Full two-way automatic synchronization of files andfolders • Many sync modes. Not only two-way, you can also chooseUpload only, Upload then delete, Download only, Download mirror,...• Instant upload: new and modified files are uploaded immediately• Very efficient, consumes almost no battery • Easy to set up. Onceset up files will be kept in sync without any effort from users• Works reliably under ever changing network conditions on yourphone • Monitors battery level, WiFi/3G/4G/LTE connectivity andadapts its behavior according to user preferences • Configurableautosync interval: 15 minutes, 30 minutes, every hour,... • Taskerplugin to allow power users to define sophisticated sync schedulesand conditions If you like this app, please consider upgrading topremium version. By doing so you support the development effortsand get access to premium features. You can upgrade via in-apppurchase. PREMIUM FEATURES • Sync multiple pairs of folders• Upload files larger than 10 MB • Sync your entire cloud accountwith a folder in your device • Sync with multiple accounts• Protect app settings with passcode • No ads displayed in the app• Email support by developer SUPPORT Please check out our website(http://metactrl.com/) for more information about the app,including User's Guide (http://metactrl.com/userguide/) and FAQ(http://metactrl.com/faq/). If you run into any issues or havesuggestions for improvements, don't hesitate to email us [email protected] We will do our best to assist you.